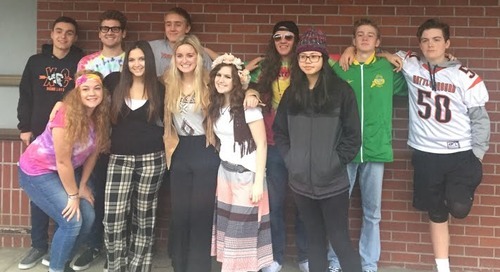 Students and community members are invited to learn about careers in southwest Washington at Battle Ground Public Schools' Industry Fair at Battle Ground High School on Thursday, Feb. 23. Students and community members who attend the fair will be able to learn about career paths by talking with local employers about the jobs available at their companies. Bring your resume and consider your dress, because some companies have positions open now. 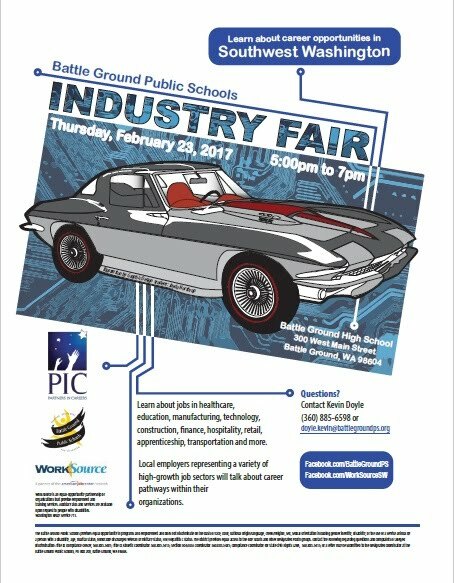 The event, sponsored by BGPS, WorkSource and Partners in Careers, will be held from 5 to 7 p.m. at Battle Ground High School, 300 W. Main St., in Battle Ground. There is also a resume writing workshop from 3 to 6:30 p.m. in the school’s College and Career Center. Many industries will be represented: health science, manufacturing, technology, construction, finance, hospitality, retail, human services and transportation; and participants will have a chance to ask about the skills, abilities, and educational requirements to work in various jobs, along with what the work environment is like and what kinds of tasks are performed in various job roles. Representatives from more than 50 businesses will be available to answer questions. Please join us for an educational evening at Battle Ground High School about the many career opportunities in our region. 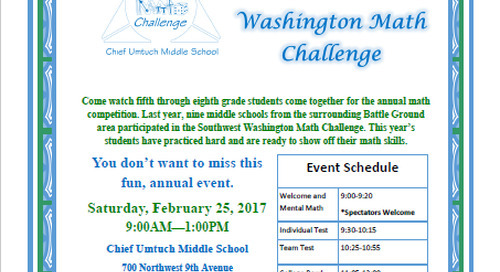 Please contact career guidance specialist Kevin Doyle at (360) 885-6598 or doyle.kevin@battlegroundps.org with questions.